Nicky C – as he is most well-known has been busy to say the least. With two art exhibitions in the month of August, it is a wonder how this musician in his past decade is able to juggle life as an artist, a musician, a music label owner and as a family man. Chalk and Raddy is proud to collaborate with this multi-talented artist, and during one of our meetings, we managed to put business aside and talk about the man himself. When and how did art become part of your life? Art has always been a part of me since I was young – watercolour painting and collage making. But it all came back to me in 2011, when I picked up a painting kit to pass the time. Paint by numbers – a café scene. I became engrossed, and also improvised on the guided kit. Then I picked up some canvases, paper, paint, brushes, and that is how it all started, on a more consistent and formal basis. Chalk and Raddy has followed Nicky’s works since 2011, when the popular theme was of our surroundings: Malaysian coffee shops, Bukit Lanjan, the streets of Kuala Lumpur, the Petronas Twin Towers, a street side florist. Conventional subject matters were presented in a soft style almost akin to an impression, close enough for you to appreciate the scene as fictional, but real enough for you to know that these places exist and carry an intimate connection to the artist. Most, if not all of these have already been sold. Abstract art has always been a mystery for me, and I have never expected that I would work on the abstract discipline. On the other hand, I wanted to challenge myself to understand it. So I researched. I explored the meaning of contemporary art, and saw it as a combination of the traditional and the abstract world which has always been with us and has never left us. And so I apply this concept to my work. I am taking the past, with what I know now, and share what I have and can, now. I translated how I felt into compositions, often working through the night because that was just the flow. It was a continuous expression that I needed to get out of my system. Nicky completed more than 40 pieces of his art work, over a period of 3 months. 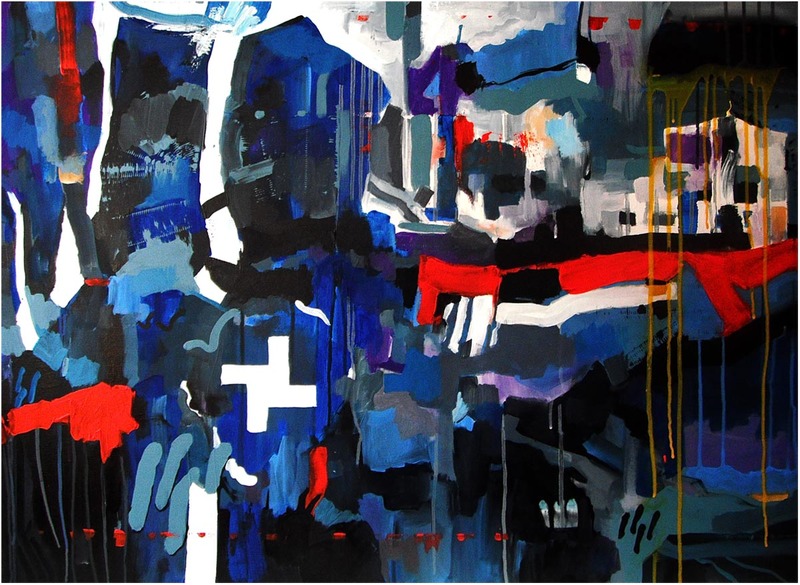 These include 16 large abstract pieces, which will be showcased in his upcoming exhibitions. Included in this collection are also30 collage pieces. What are the 30 collages about? My motivation was the fasting month – 30 days of self-deprivation in the quest for empathy. I have high respect to those who are fasting in the Ramadhan month. It takes a lot of self-motivation, determination and discipline to participate wholly in this. Just as these 30 days would be a challenge for those fasting, it would also be the 30 days for me to push myself further and challenge my own abilities. Hence in my own 30 days, I have taken up the task to test my boundaries in exploring a different form of art, through converting precious pieces in my daily life into meaningful works. 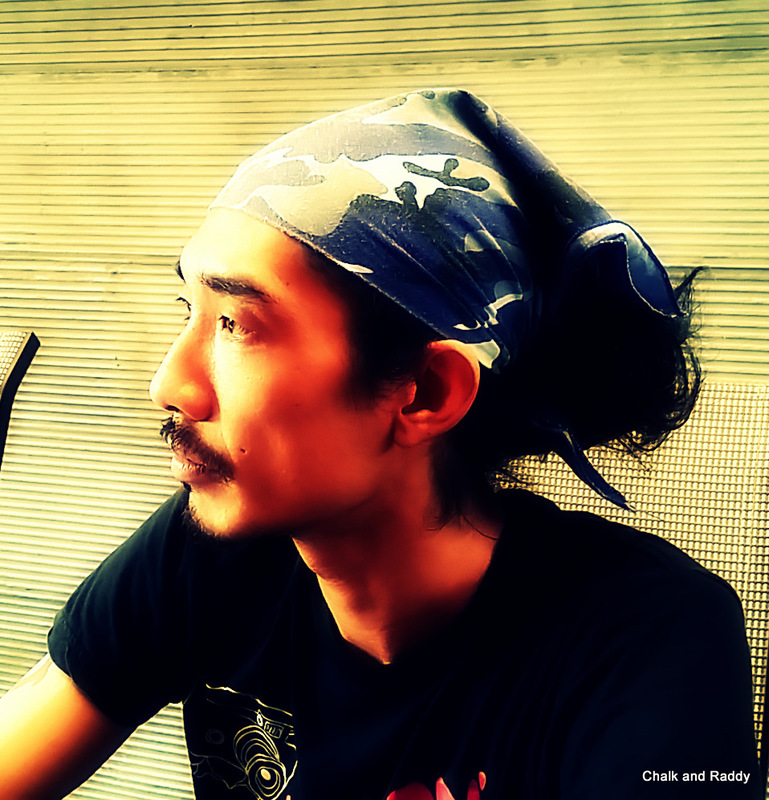 Nicky’s thirst for exploring new ideas brings a fresh vibe to the arts scene in Malaysia. 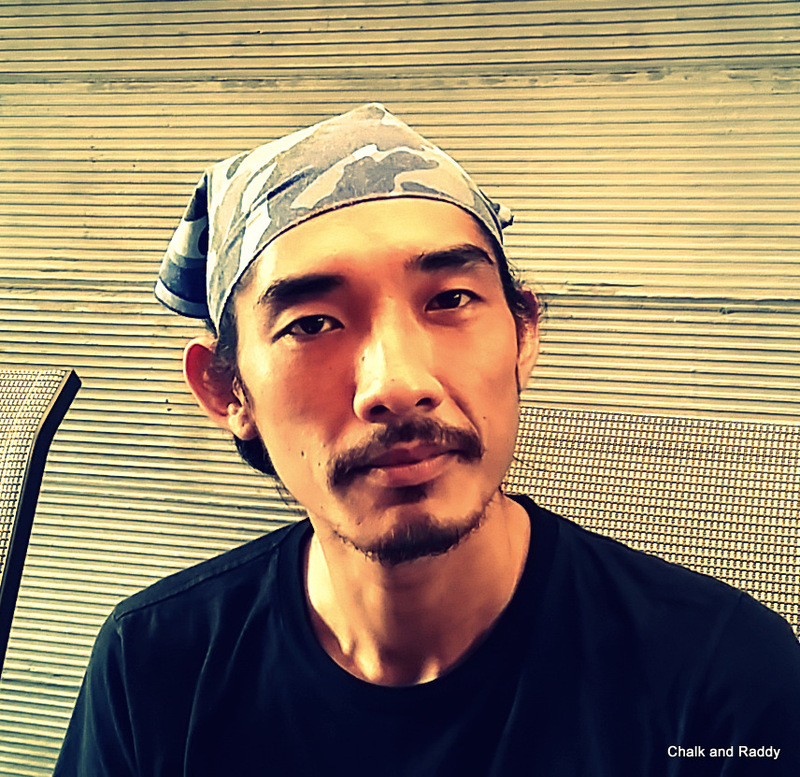 He is already looking forward to the next stint – an art residency programme at sembilan. The programme is jointly organized by Chalk and Raddy, elias projects and Hotel Sun Lun Yik. I am already looking forward to sembilan. Seremban is a small town still untouched by the city influences. I can’t wait to explore the town on the bicycle, and see what this will bring to my work. This is going to be interesting! 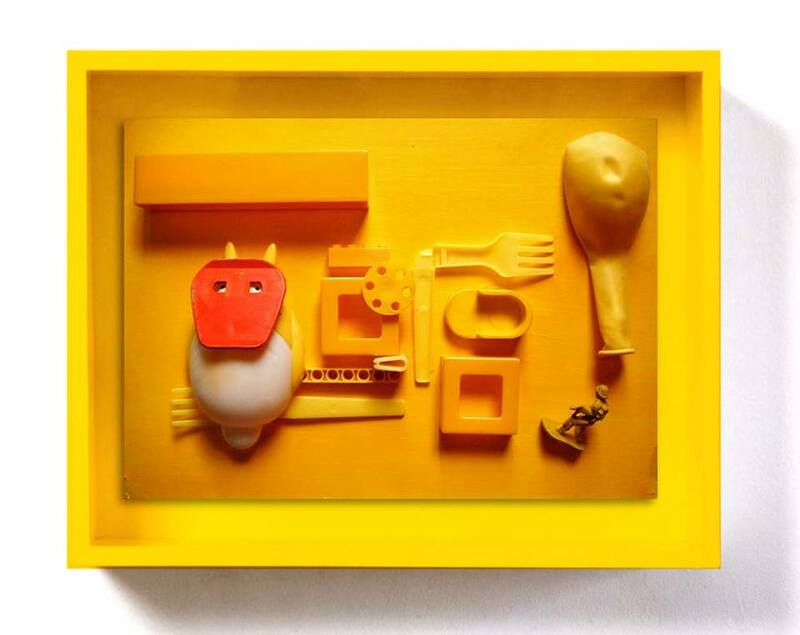 Wishing Nicky C. a successful exhibition at CONJOIN: Spontaneous #1, and Nicholas Choong – SOLO (Studies of Loved Objects). We also look forward to your time with us at sembilan. 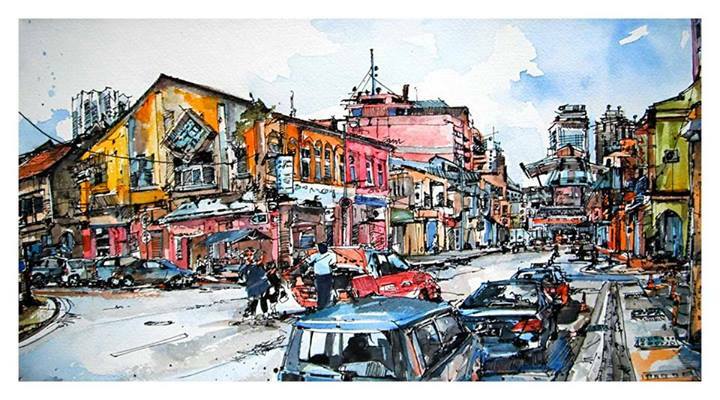 Posted on July 26, 2014 by ChalkandRaddyPosted in People, Visual ArtTagged Art Malaysia, Atelier Art Space, CONJOIN, Emerging Artist, Nicholas Choong, Nicholas Choong - SOLO, Nicky C, sembilan.